Livers, kidneys and hearts! Oh my! 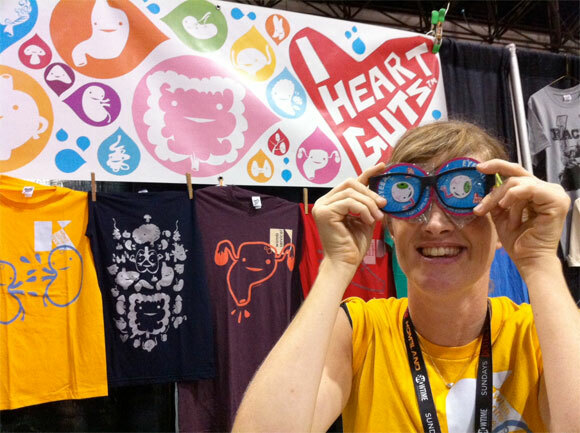 Plush anatomy creator, I HEART GUTS holds it down in The Cultyard at NYCC. Tonight they will be divulging secrets on how to turn your ideas into toys at the Indie Toy Maker panel along with Shawnimals, Happy Worker, Longoland, Phil Barbato, Life With Tigers and Kidrobot from 8:45 to 9:45p in room IA23.